GORGEOUS! 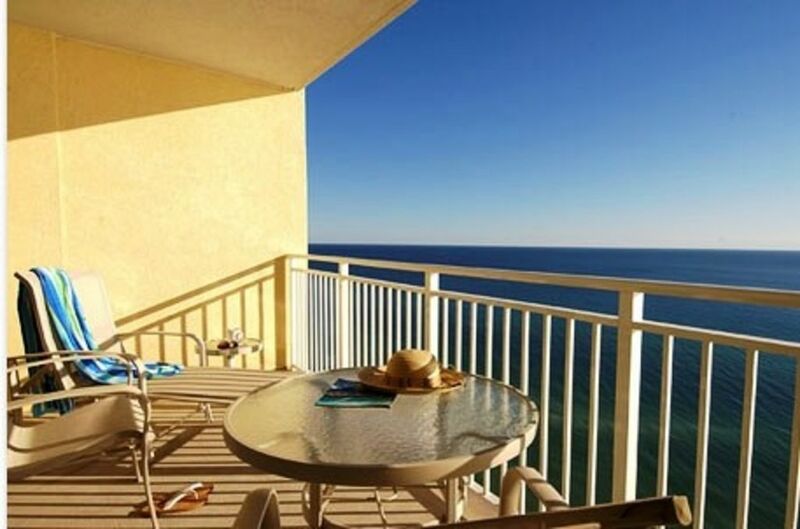 Emerald Beach Resort - Book Now for Spring & Summer Specials! Indulge in breathtaking sunsets and crashing waves from your balcony at the New Emerald Beach Resort and Spa. Our professionally decorated, over-sized Beachfront unit on the 17th floor provides the perfect escape for families or a romantic getaway. The expansive floor plan offers plenty of room for children and the conveniences of home including a Full Kitchen, Washer and Dryer. Enjoy features like Bellman and Valet service, STARBUCKS on-site, Sky Bar with delivery service from Carrabba's, fitness center, game room, 2 swimming pools, a poolside TIKI BAR and a HOT TUB to help you relax and unwind. The living room is also equipped with a large LCD TV, DVD player, CD player, books, magazines and games to help you enjoy your stay. If you need to stay 'in touch' during your vacation, complimentary Wireless Internet is also provided. Is this the place for your next vacation? Please check out our beautiful beach from the live webcam: https://www.encoelectronics.com/emerald-beach-webcam/. Perfect! 2 bathrooms came in handy. Plenty of room, and easy parking. The price was perfect and the condo was just right! We can't wait to go back again!! Thank you Stacy for making the process so easy. You have a wonderful place!! Great condo and the owner was pleasant to communicate with! Want to plan a Last-Minute Getaway? Inquire about last-minute discounts! Golf: There are several beautiful public courses to choose from in Panama City Beach. Service Fee: Charged by booking site and ranges from 4-10% of rental.